At Pana, we move fast and iterate on our product every day. Our small-but-nimble product team has been hard at work talking to members, iterating on designs, and creating the latest version of Pana. We’re proud to say that member feedback and suggestions went into every new feature being released. 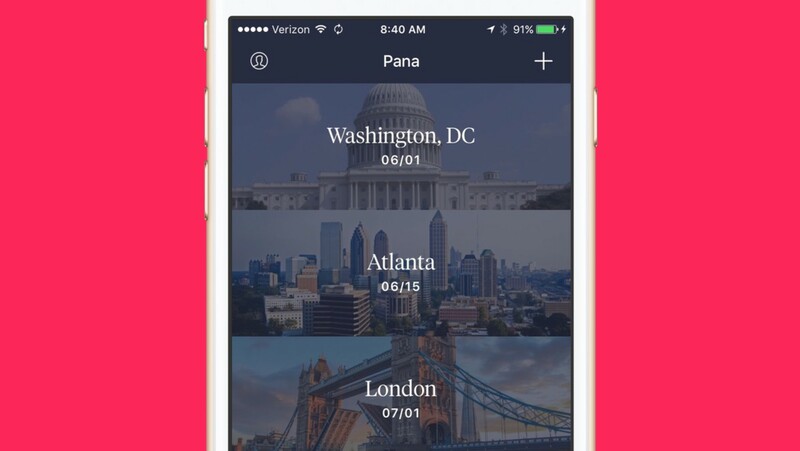 Today we’re happy to announce Pana for iOS 2.0. One of the most frequent member feedback requests was the ability to group conversations. Instead of just one long stream, conversations are now grouped by destination, allowing for easy access to a specific trip. One of our core beliefs is that travel is a force-multiplier for change. Travel brings friends and family together and enables global business—every trip has a unique and important purpose. This is why we're allowing you personalize your trip with a custom name and image. It’s subtle, but we want to make a member smile each time the app is opened. 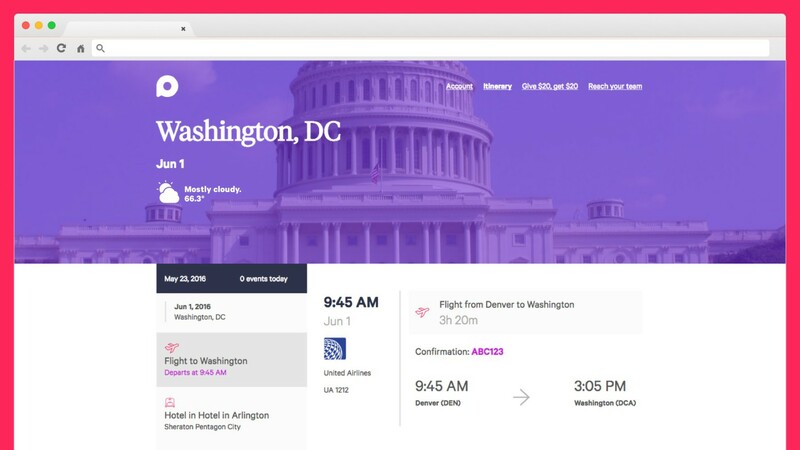 Traveling requires quick access to information, which until now, was dispersed across emails, text messages and paper receipts. 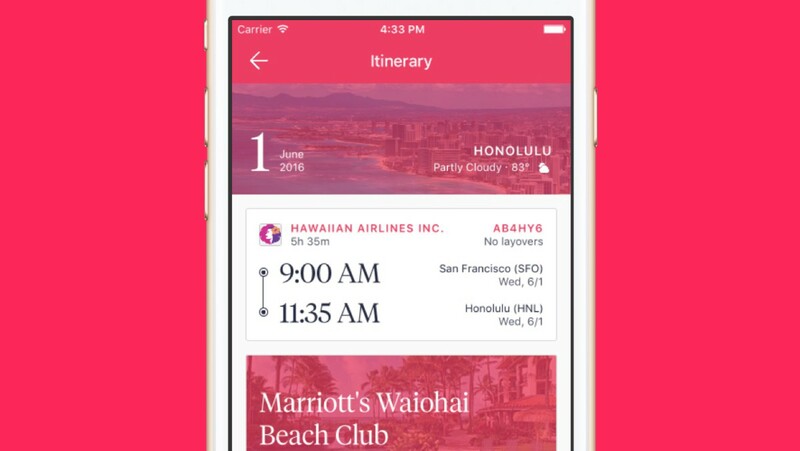 The new mobile itinerary feature brings all travel details together on your phone. 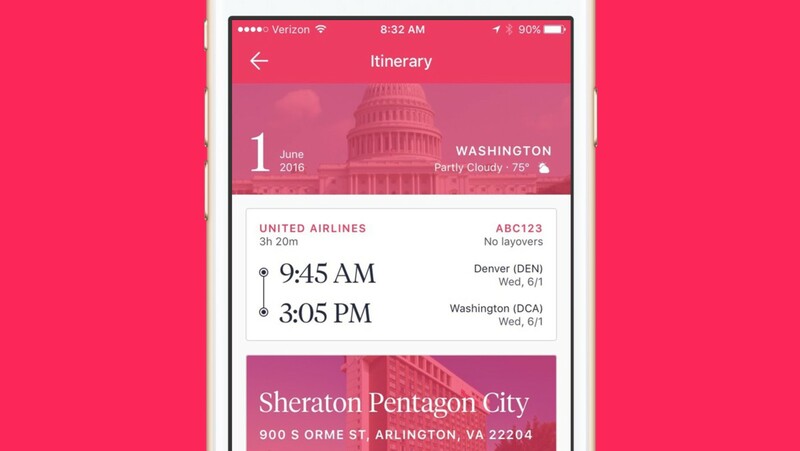 Easily and quickly view information for flights, hotels, car rentals and more. Confirmation numbers and trip information, such as the weather in your upcoming destination, are all available in one, centralized place. Need an Uber from the airport to your hotel? Just open your itinerary and tap Ride there with Uber and we’ll call an Uber to pick you up and take you there. Even when you are offline, it is important to have access to your travel details. 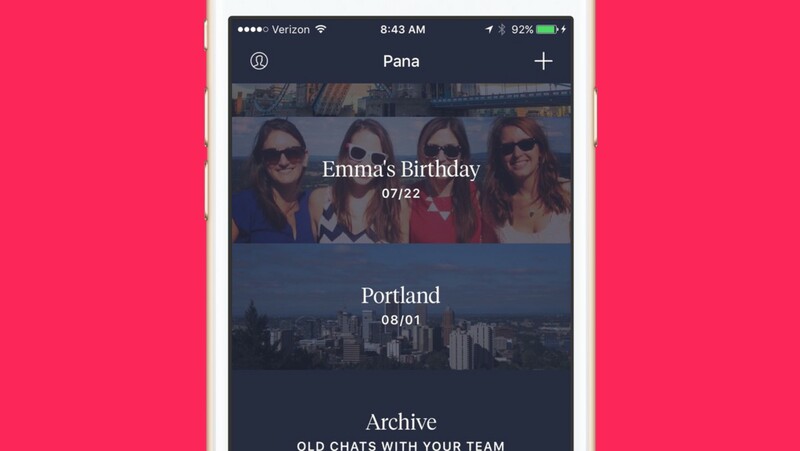 That’s why we’ve built offline mode into the entire Pana app. 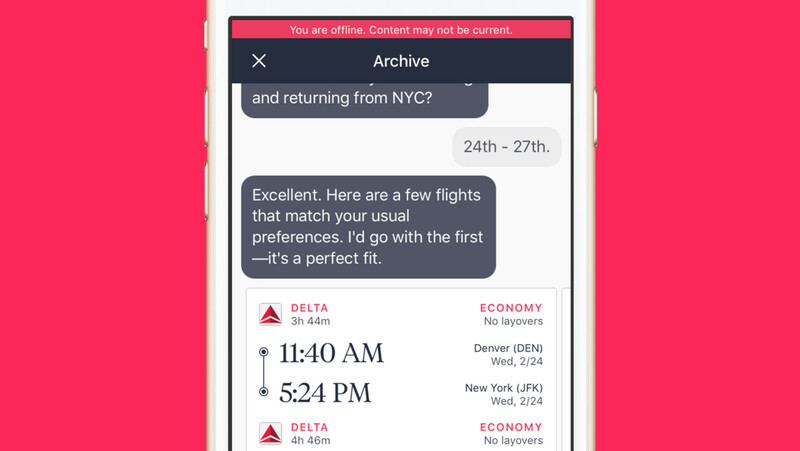 You can review conversations with your team and check your itinerary, all from FAA-friendly airplane mode. A number of members also expressed the need to view their information on both their phone and desktop computer. Today, we also made your trip information and itinerary accessible via a desktop via our Web Itineraries beta. Web itineraries a sneak preview of what we’re calling Pana for Web, a new suite of desktop and mobile products to support a broad range of users, across any device. To see the beta of Web Itineraries today, log into the new Pana for Web dashboard here. While we’re incredibly excited about the new features launching today, what’s even more exciting are the products on our roadmap launching over the next few months. Stay tuned for more updates to our mobile application, Pana for Web, and much, much more.